Holly Shaw: Randoms Of Late. And Such. It's been pretty quiet here on the blog lately, I guess I was on a little bloggy break (but not like Ross and Rachel) and I guess now the break is over. Obvs. I think I've finally made peace with the fact we've gone low-key with the Christmas decor this year. 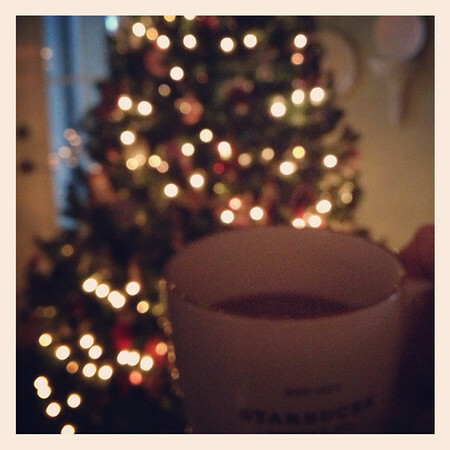 We have our tree in the family room, which is where we usually put it since that's our main hang out room. I do miss the smell of an evergreen tree but it sure is nice to use what we already had in the garage for free. We have a festive hodge podge mix of ornaments, which I like, though I certainly admire themed trees as well and those that have the decorative foresight and wherewith all to change their trees every year. I admire those skills. This year 90% of the ornaments are on the edge of each branch, mostly in the front of the tree and all around the height of Annelise's arm span. I kind of love that. 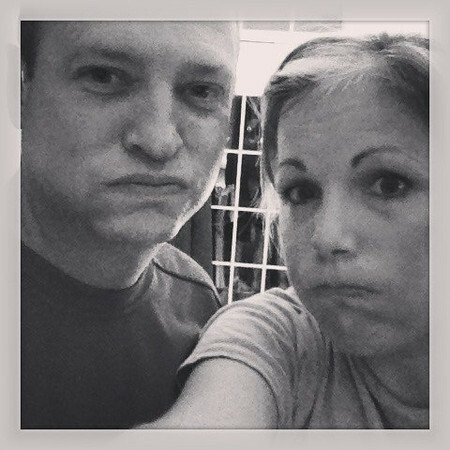 Scott and I are starting P90X. This is our sucking wind face after PlyoX last Friday night. We're off to a bit of a rocky start, at least as far as consistency goes, but at least we're trying, right? Scott's company schwanky holiday party was last Saturday night and is deserving of it's own post because I don't normally do schwanky things. We have a new-to-us Tex-Mex place in our area, because let's face it, you can never have too many of those, called Jimmy Changas. I'm still thinking about their fish tacos. And their white chili con queso. 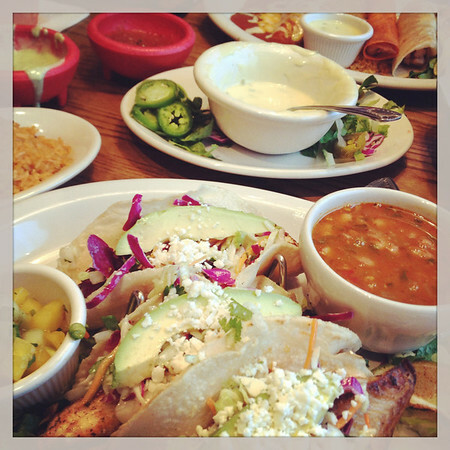 Jimmy Changa's definitely being worked into our Tex-Mex rotation. 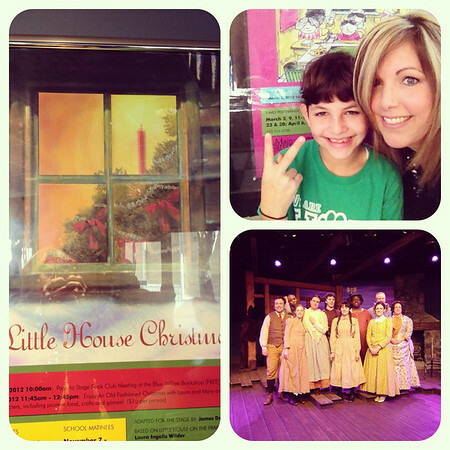 I got to tag along on third grade's field trip to see A Little House Christmas play yesterday. We need more Little House on the Prairie in our lives, dontcha think? 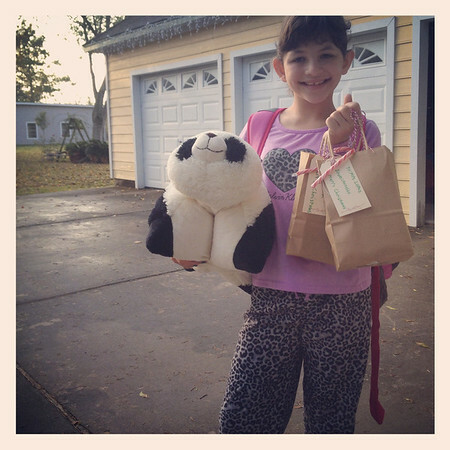 Today was Annelise's last day of school until next year. I am so looking forward to having no schedules or routines for a couple of weeks. Today they got to wear pajamas to school, which apparently is the ultimate privilege. If you're nine that is. This year for teacher gifts we switched things up a bit. In the past we've done a Starbucks gift card in a Vera Bradley ID holder thingie (wrapped up in a Starbucks cup & ribbon which is easy and yet still cute) but that wasn't doing anything for me this year. World Market to the rescue. I found a set of adorable owl note cards, a darling dish towel (with pom-pom fringe!) and my favorite Mrs. Meyer's Basil soap. X2. Cute, useful and pleasantly fragrant. Boom. Two teacher gifts done. 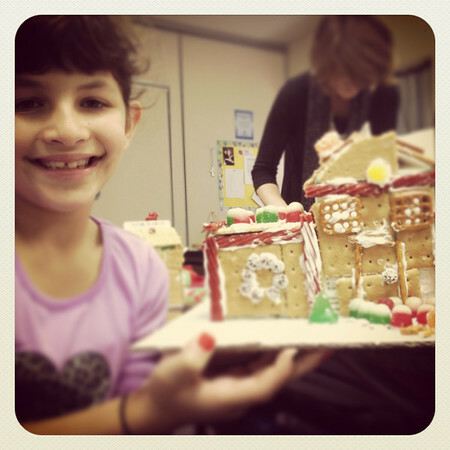 I helped Annelise's class make gingerbread houses again this year and didn't have a nervous breakdown as I had feared. I don't know if it was because the classes were separated this year (there's an adjoining door) instead of all being in the science lab, the fact there were less parents (weird, but possibly better) or just that the kids are a year older, but it was wayyyy calmer. Although the clean up was a bear. And I left with frosting in my hair. And that, my friends, are the latest randoms from these here parts. I need a restaurant called Jimmy Changas and those fish tacos in my life. Cute pj's, great idea for teacher gifts, and love the pretzel snaps for windows on the gingerbread house!